Yesterday, the story was Amazon is opening its first brick-and-mortar store in 7 West 34th Street. Today, the story takes a twist: Amazon is also taking over 7 West 34th Street. 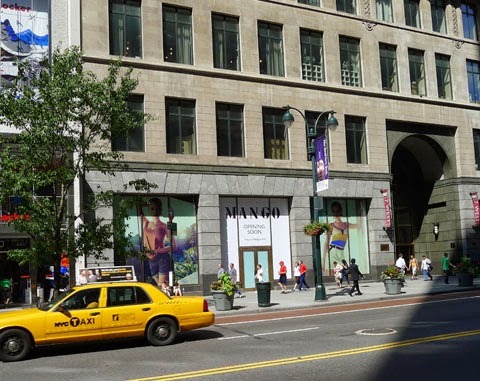 Above is 7 West 34th Street, just before Mango opened on the ground floor. 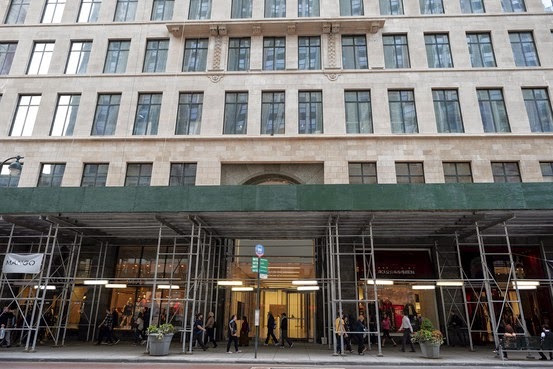 WWD reported today that Amazon is opening a pop-up in the Express space that sits to the right of the building's entrance. Mango left, Express, or soon-to-be Amazon, right. My bet is on WWD (and it's not just because my boss and I were quoted in the story). The timing and location are perfect for a holiday pop-up. But I'll take it all: holiday pop-up, building takeover, drone hub, Amazon hot-tub station, bring it on. 34th Street is very happy to welcome Amazon to the street's ever-changing and impressive retail ranks.